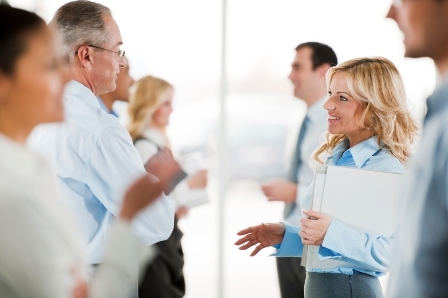 What’s the best way to meet real estate agents? I have read with interest your answer to the person who does not want to do business with real estate agents. I agree with your answers. But my problem is that I can't seem to meet agents and the ones I do meet do not produce much business. What is the best way to meet real estate agents? Thanks for reading the column. Your question is a logical follow-up to the previous question. I will start with a good news/bad news scenario. The good news is that there are around 2 million licensed realtors in the United States. That means they are everywhere. The bad news is that only about one in ten is very productive. Thus, if you meet real estate agents randomly, there is only a one-in-ten chance that they will be productive. So, the question that follows is, how do you meet more productive agents? Since they are everywhere, I would always start with your sphere. Even your refinance clients typically know a real estate agent – who sold them their home? So do your neighbors, family members and best friends. So, all you need to do is ask. You can even meet agents through mutual contacts on LinkedIn – or try the commonality angle. Which agents on LinkedIn went to your high school or college, come from your hometown or attend your church? The vendors you deal with are likely to know more agents than other contacts. For example, if you are a loyal referrer to an attorney or settlement company, then they will know plenty of real estate agents and more importantly, they know which ones are productive. Speaking of being productive, meeting an agent is not enough. You need to do the research necessary to determine if they are the right agent. We will address that issue next week.